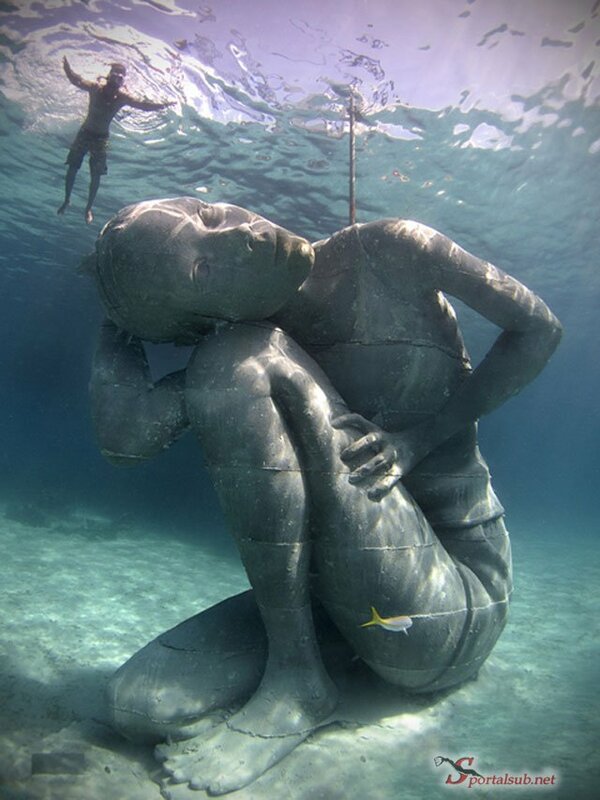 Some of his most notable work includes La Evolucion Silenciosa in Cancun (2010) – the largest underwater collection of art with 403 life-size cement people spread over 420 square meters, and Vicissitudes in Grenada (2006) – a ring of 26 children holding hands and facing into the current. 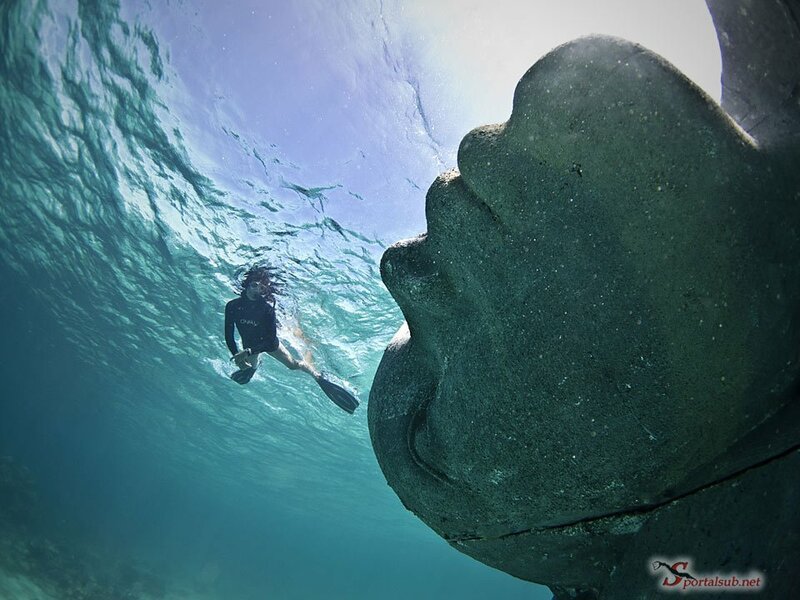 For his latest installation Ocean Atlas, Jason deCaires Taylor teamed up with BREEF – the Bahamas Reef Environment Educational Foundation – to bring attention to the issue of coral degradation, overfishing, global warming and water pollution in our oceans. The design of a young woman hunched over – much like Titan Atlas holding the world on his back – symbolically represents the shouldering of the environmental burden we are asking of younger future generations.